Any of these factors can result in workers experiencing a prolonged stress response. The physical, mental and emotional reactions which arise when people perceive that their work demands exceed their ability to cope, over time may lead to psychological or physical injury. Traditionally risk management practices conducted by workplace health and safety professionals do not account for the prevention and management of a workers psychological wellbeing, often exposing a workplace to preventable workers compensation claims and/or the development of significant mental health conditions. This may adversely affect workplace culture, employee wellbeing and prevent healthy workplaces from being established. What are the common types of psychological injuries? Typically, a psychological injury may involve post-traumatic stress disorder (PTSD), traumatic brain injury (TBI), a concussion, chronic pain, or a disorder such as depression, anxiety, phobias, and adjustment disorder. How should an employer approach someone exhibiting early warning signs? Psychological injuries have adverse effects on the employee and the rest of the workforce. Increased frequency and duration of stress has been linked with high levels of unplanned absences, sick leave, staff turnover, interpersonal conflict and more task errors. Why should you engage a Psychologist to assist with injury management? 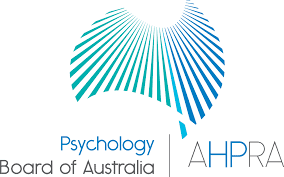 It is crucial to engage a Psychologist as early as possible to provide assessment and counselling services to assist the worker in understanding, managing and resolving the cognitive, emotional and behavioural processes underlying return to work barriers. This will greatly contribute to long-term, sustainable return to work outcomes for injured workers. Psychological injury claims currently account for a significant portion of costs associated with absenteeism from the workplace. Who Delivers Psychological Injury Management? Psychological injury management is performed by one of KINNECT’s Registered Psychologist with extensive experience in workplace injury management in addition to psychological injury counselling. Who is responsible for the management of psychological hazards? What is the Employers Role in Psychological Injury Management? Early Contact: Workers who receive early contact from their workplace following their psychological injury had greater success with return to work compared to those who received no contact. Employer Support: An employers support of an injured worker with a psychological injury is a significant factor when ensuring a return to work outcome is achieved. It has been documented that workers who reported feeling supported by their workplace at the time of their psychological injury return back to the work quicker. Assistance with Lodging Claims: Employers who are actively involved and assist with the lodgement of workers compensation claims for injury directly and positively influence the successful return to work of the employee post a psychological injury.